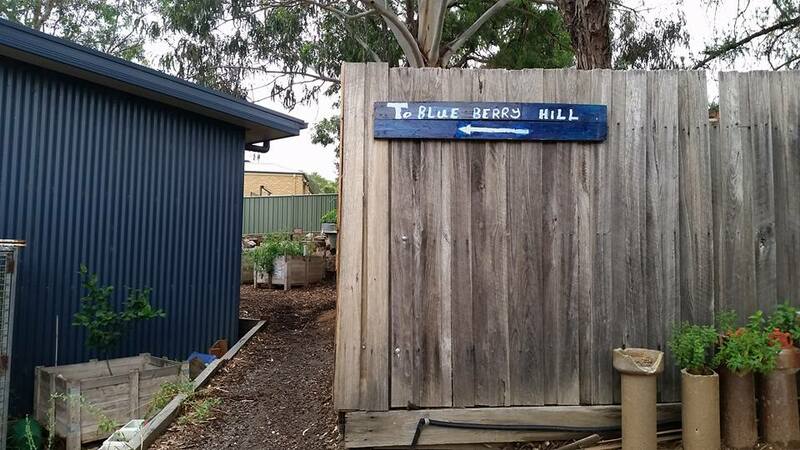 Many thanks to Terry and all the families who helped at our Working Bee on Sunday. We had a great turn out of adults and kids and ticked off our list of jobs. We really appreciate the help of our parent and carer volunteers and will continue to put out the call each term. There may be some additional painting work coming up – particularly if you are comfortable but more importantly have received training working with heights. Watch this space. 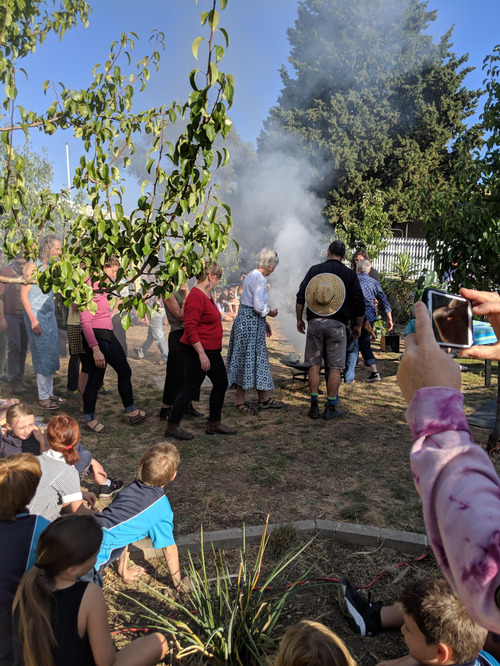 Our first social gathering for 2019 will take place from 5.00pm – 7.00pm tomorrow at the Castlemaine gardens. 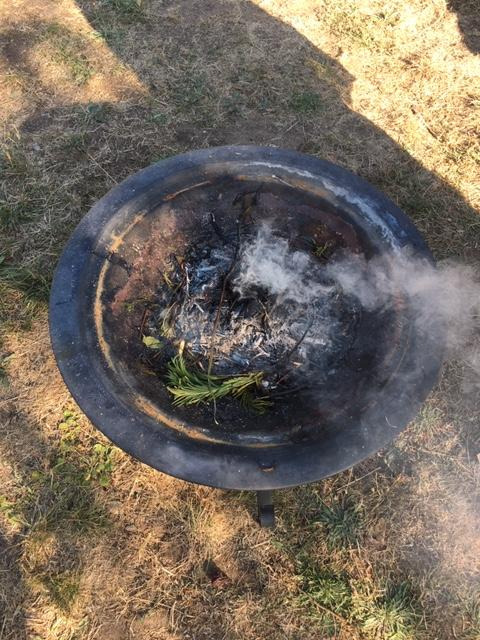 We encourage families to bring a picnic to share – School Council will also be providing sausages. In response to some concerns raised via local social media last week, I spoke to students about how they cross the road and walk safely to and from school. I would like to reinforce that message here in the newsletter as we all have a shared responsibility to promote safe road habits, particularly when children are using roads where there are no traffic lights or school crossings. We encourage as many children to walk to school as possible and seek your assistance in reminding them to stay safe. We still have some places available to see our guest speaker Educational Psychologist Matt Davis who will be talking about the challenges of screens and behaviour and how to unplug and survive parenting in the digital world. As a principal I am seeing increasing numbers of sleep-deprived children who talk about the many hours they spend playing on-screen games. This forum is also open to the wider Castlemaine community with tickets available through Trybooking (see event listing below). 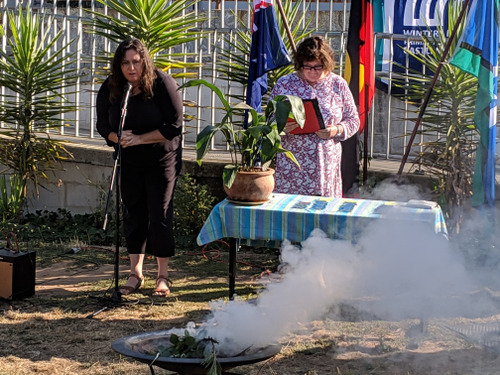 This week’s article gives some advice about how to support children in the wake of the events in Christchurch. The Minister for Education also sent all Victorian school the following link: Supporting children and young people with distressing events. We are looking for a parent/caregiver who has a bus license and able to donate some time to take students to the Chess Tournaments. There will be approximately 4 tournaments that we would like students to be involved in that would be spread over Term 2 and Term 3. We value chess at our school and want to continue to be able to offer it to students at Winters Flat Primary School. Please contact the office for further information if you can help. Next term WFPS will be including on the website, newsletter and Facebook our very own GIG (Goodwill & Intentional Generosity) economy. It works on a purely voluntary basis, but there will be ‘positions vacant’ (in our various roles in the kitchen, garden, yard, classrooms); ‘Pick your project’ - little jobs from 5 minutes parents, caregivers, families and children can help take care of others and our environment by doing little jobs that help create a calm, engaging and inspiring environment to work and play in – choosing the time frame and jobs that feel do-able for you and your family! Today I will be sending home a keep card with tips for parents on responding if you believe your child has experienced bullyi9ng behaviour. Please take this opportunity to ask your child about their understanding of Bullying Behaviours & how they would respond if they believed they had experienced Bullying Behaviour. Winters Flat has processes in place to deal with bullying behaviours (The Care Crows, Restorative Justice & School Wide Positive Behaviour Support – see WFPS website for further details). Our goal is to address and understand the reasons for the behaviours and then to respond to the behaviours while supporting both the children who experience bullying behaviours and the children who have used the bullying behaviour. We always separate the behaviour from the child – believing that all children have their own unique strengths and challenges. Thank you so much to the childern and families who have drawn pictures and shared their ideas on how they would like the playground to look and feel. Next term we will be having discussions in the Grounds Committee to see what ideas are ‘doable’. 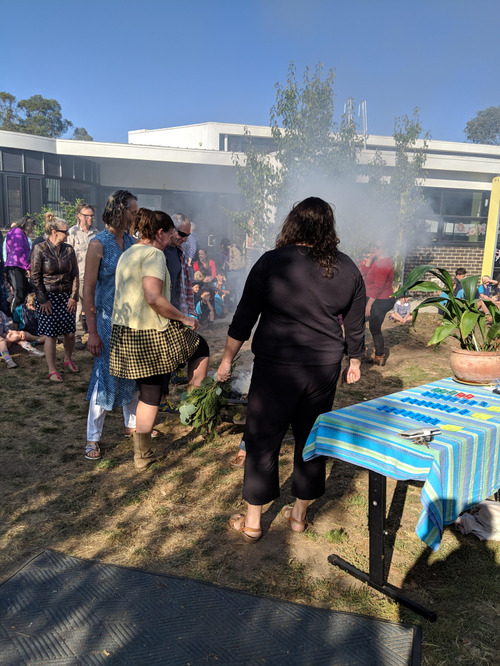 In the meantime, I have been puttting ‘play provocations’ and there has been lots of fun and mess and communication, leadershiup, negoationa and learning happening in the playground! Don’t Forget to get your ticket to Matt Davis and his inspring talk on balancing Technology with the living, breathing, messy fun of unplugged life! Remember, all our recipes are available on our school website, for when you're feeling that need for culinary change! 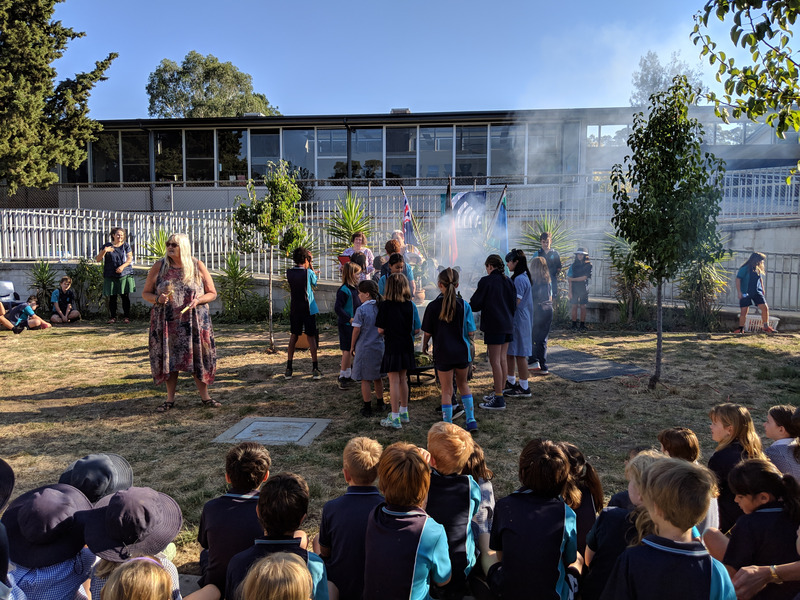 Monday's Welcome To Country ceremony...what an incredible experience! Thank you so much to Aunty Julie McHale and Kath Coff for sharing it with us. In recognition of World Harmony Day, the School Council is also holding a welcome picnic at the Botanical Gardens (BBQ area) from 5 pm. We believe that schools can be hubs of the community, so the School Council invites all our Winters Flat families and friends together for a casual afternoon of fun at the gorgeous Botanical Gardens. We would love to see all new and existing families there to celebrate the beginning of the school year, to share some food and get to know each other. Jamel performs traditional Indian song and dance accompanied by master musician Josh Bennett on various Southern Asian instruments. Josh & Parvyn’s performance gives students a fascinating insight into Indian music, dance and culture. Jamel even teaches students some popular Bollywood moves, students and teachers alike can participate. We are looking at Participation as the major theme, and everyone will receive a certificate if they participate. For those that wish to participate only there will be the opportunity to walk, jog or run laps of the bike track. For those that are looking for the Cross Country experience we'll have a Cross Country circuit to try. 2-3 - 11.25am to 12.10 pm Grade 2's 1 lap of Cross Country circuit. Grade 3's 2 laps of Cross Country circuit. 4/5/6 - 12.15 pm - 1.25 pm Grade 4's 2 laps of Cross Country circuit. Grade 5/6 3 laps of Cross Country circuit. Hopefully the weather will be kind. We'll evaluate closer to the day. The wellbeing subcommittee is excited to be organising a parent seminar on Tuesday March 26th 2019 from 7:00pm to 8:30pm. This seminar will be on parenting in the digital world and presented by Matt Davis who is an educational psychologist. The seminar will be held at the school, and open to the broader Castlemaine community. Please put the date in your diaries. WEAR: School uniform to be worn including hat. Asthma medication or any other medication as required. Check the Castlemaine State Festival website for more details. With the weather cooling, it's a great time to get out and get active in our community. As Roy and H.G say ... When too much sport is never enough! Plus a timely reminder for those families looking for child care, and the six monthly trip to the dentist! CGFC we will hold a ‘This Girl Can’ Come and Try session, for anyone who wants to try out the beautiful game. Play soccer in a relaxed, fun and inclusive way, with experienced coaches. Including guest coach/player, BBQ, prizes and more. We have Girls teams at U10s, U12s and U14s this season as well as competitive Senior Women and Social Women. Follow the registrations details below. Places are always first come first serve and are filling up quickly for Small Sided (U5-U9), Juniors (U10-12), Youth (U13-U18) and Seniors (Men and Women). The club will be submitting teams to the league on the 18th of March so we ask you get registered ASAP. The Castlemaine Football Netball Club Juniors is holding a Registration and Information morning on Saturday 23 March 2019 at the Camp Reserve - everybody welcome! 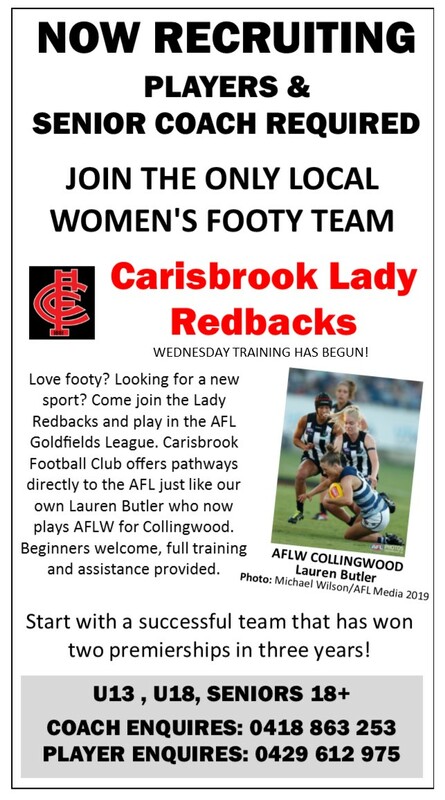 With the drive to encourage more women into sport and with the rise of the AFLW, we are inviting women and girls from across the region to join the Carisbrook Lady Redbacks. Carisbrook FNC is the only team in the MCDFNL (Maryborough Castlemaine District Football Netball League) to present three women’s teams, we are currently recruiting and also seeking a senior women’s coach.